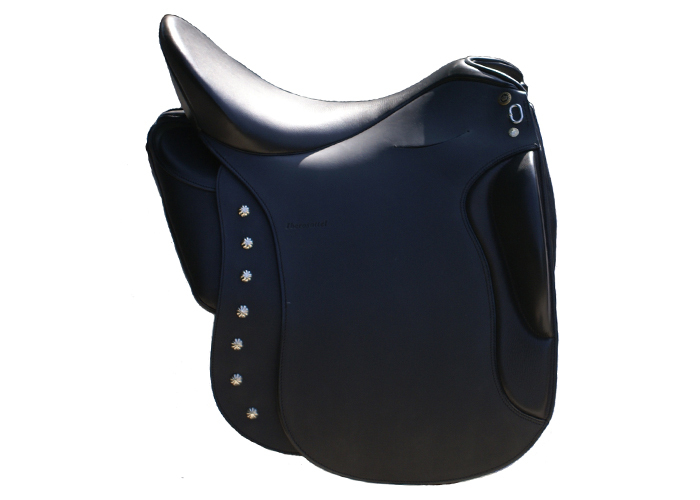 The Amazona Dressage Comfort 2000, unique and very popular. 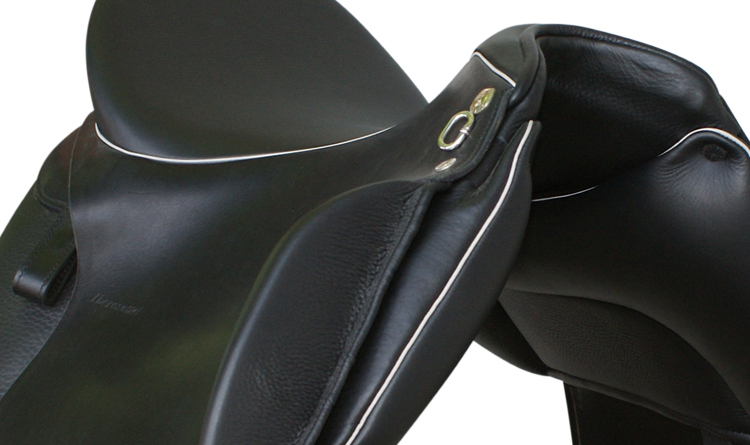 The first dressage saddle with an extra wide comfort padding. 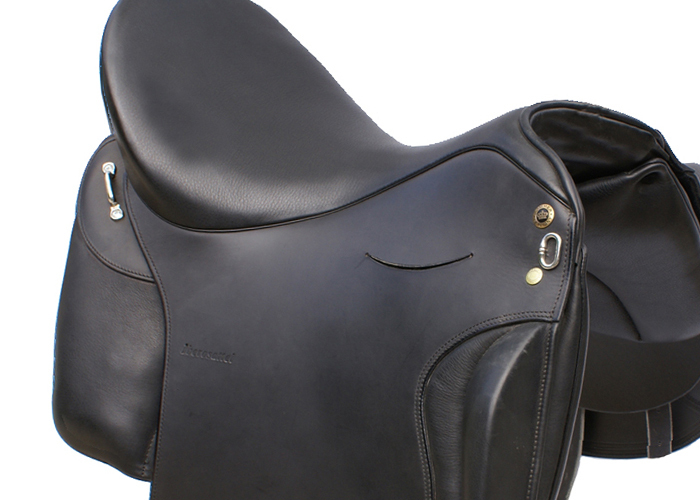 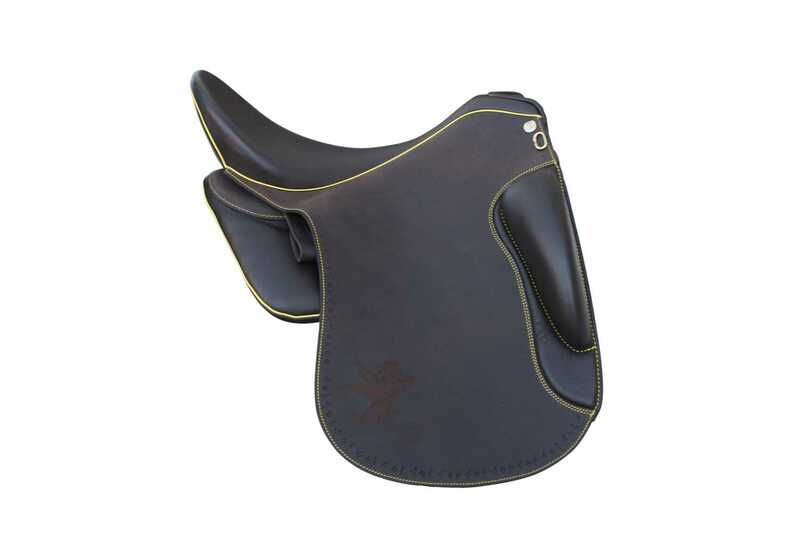 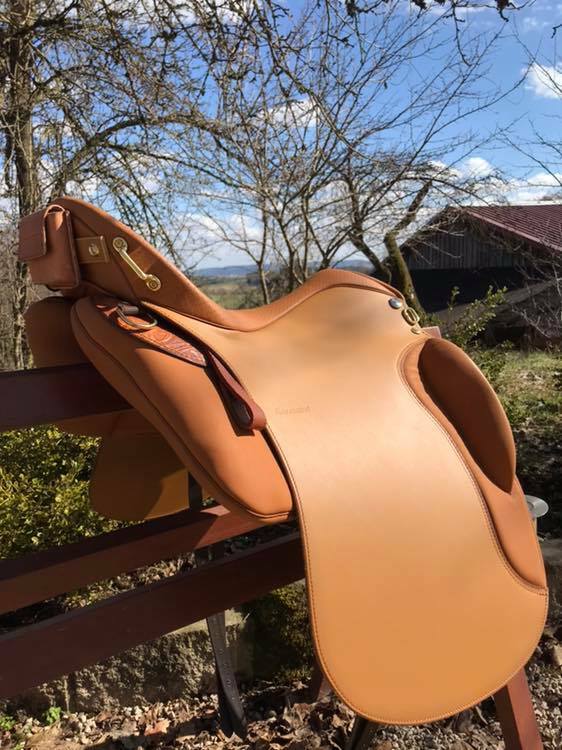 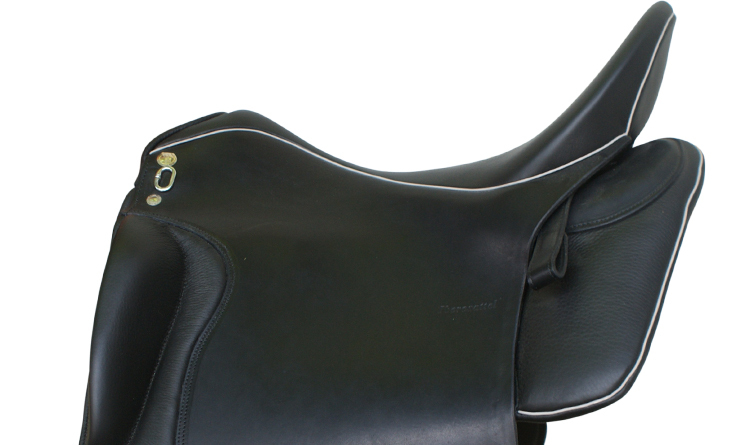 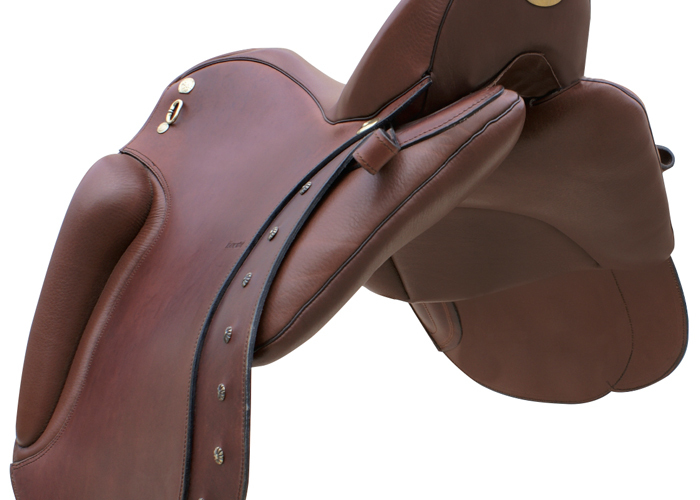 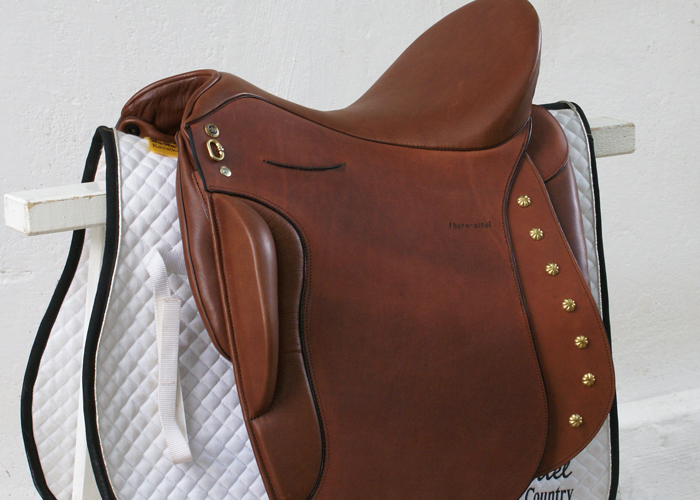 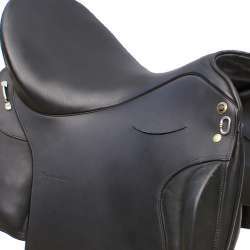 The established extra wide padding of the Vaquero Breitschaft has been combined with an exclusive dressage saddle. 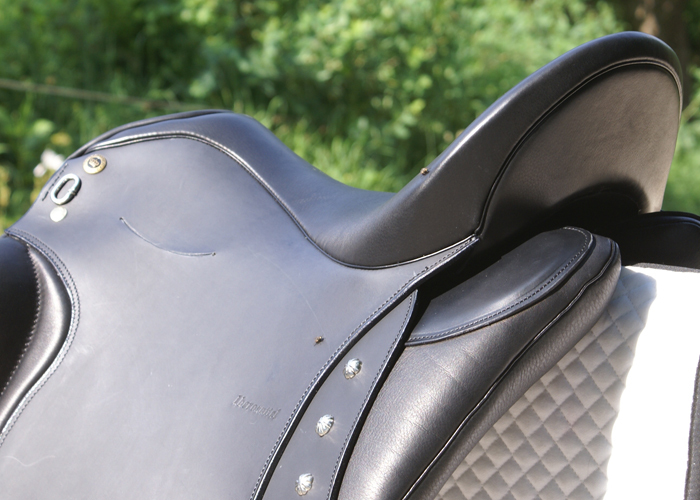 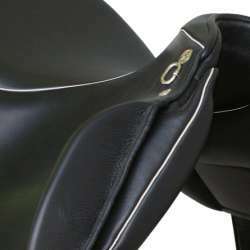 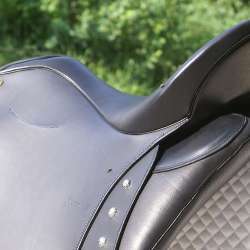 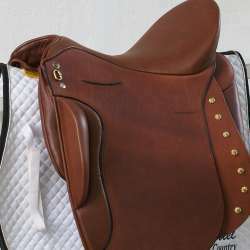 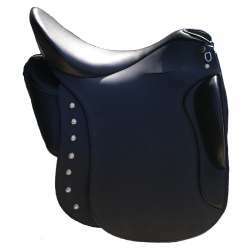 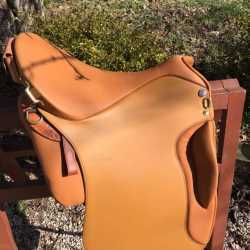 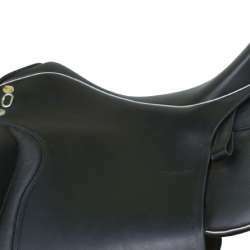 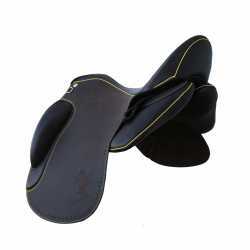 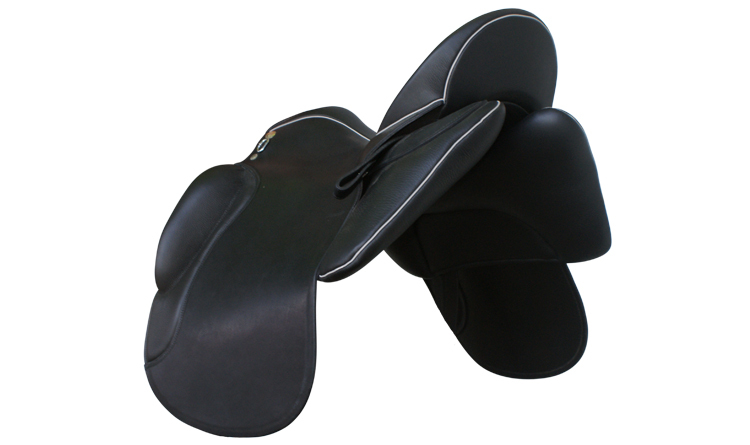 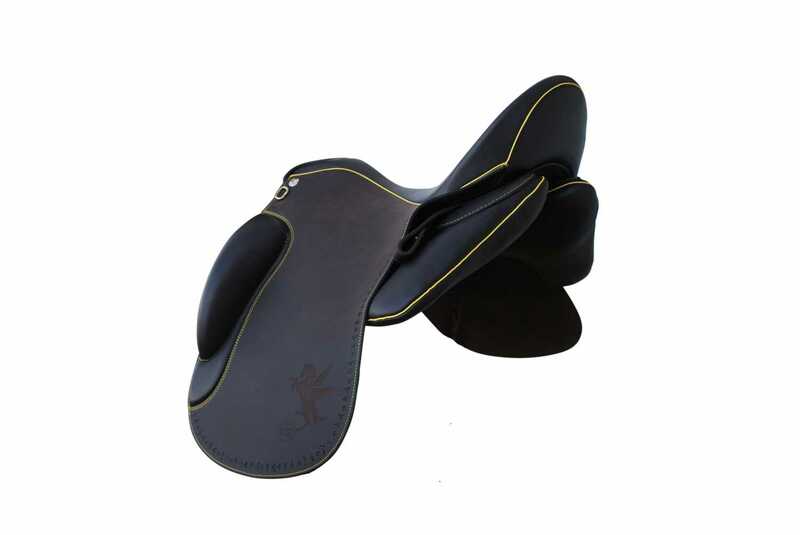 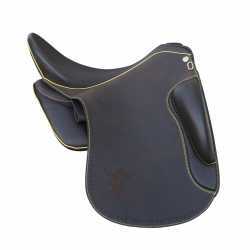 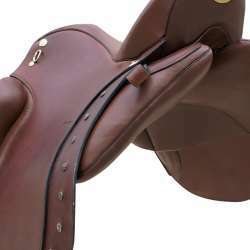 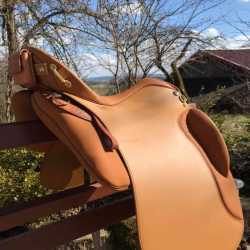 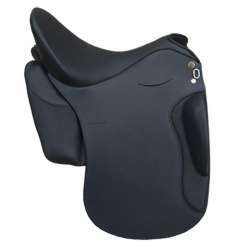 It covers the entire horse‘s back and optimally spreads thr rider‘s weight without a wedge-shaped bolster! 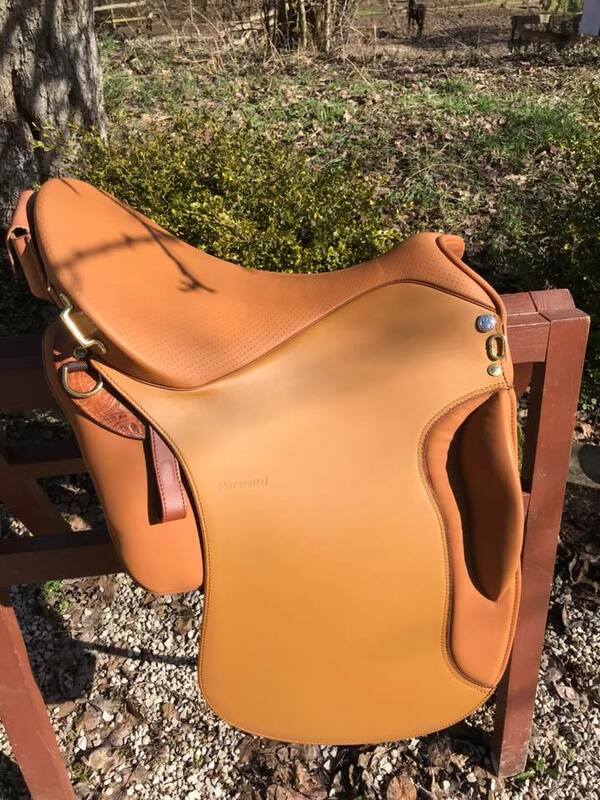 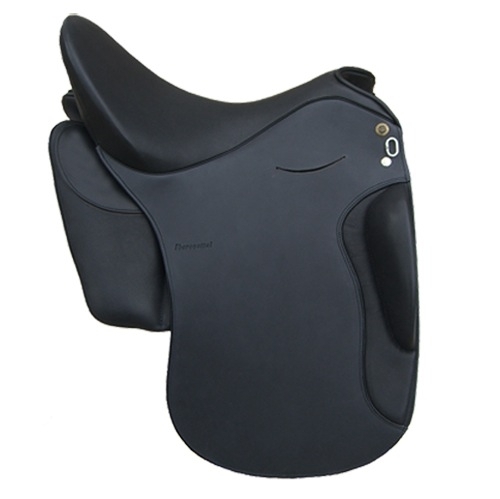 The Amazona Dressage Comfort 2000 features just like the Dressage Premium a continuous and cut back saddle flap. 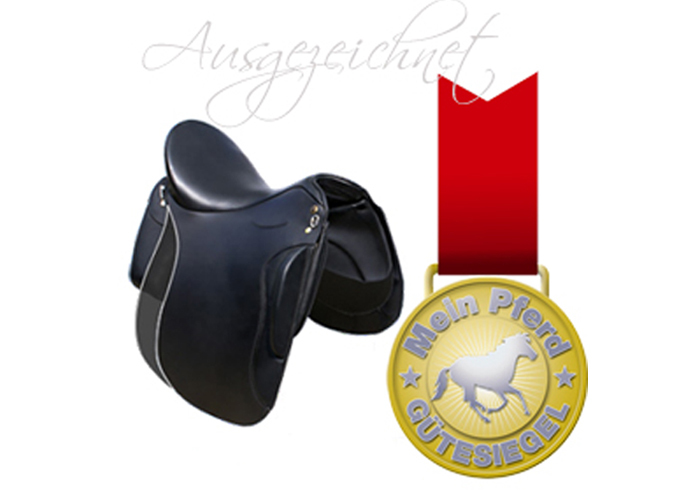 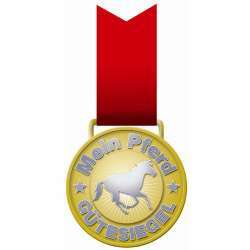 In issue 06/2008, the magazine "Mein Pferd" awarded the Dressage Comfort with the "Mein Pferd Gütesiegel". 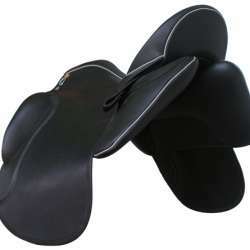 The surface area was particularly praised. 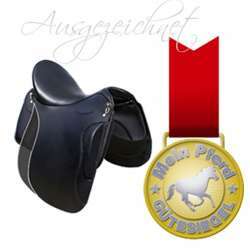 The Amazona Dressage Comfort 2000 also received an award from the "Araber Weltweit" edition 07/2010. 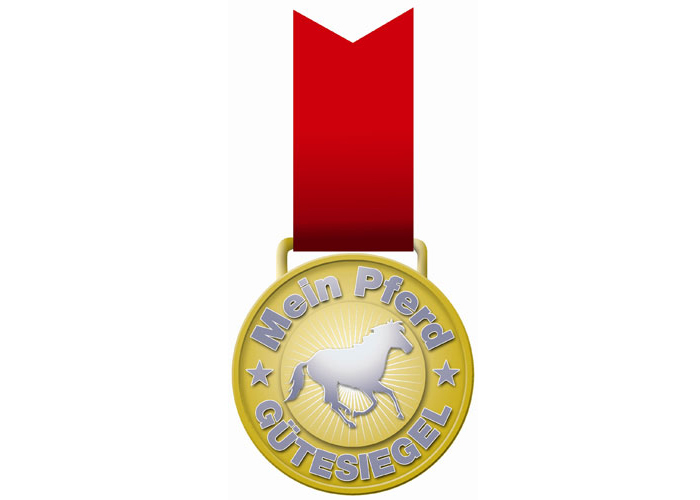 Download report "Iberosattel in der Dressur"